The beaches in Oman are really unique, surrounded by the stones and the mountains. Some of them are even accessible only from the sea itself. Sometimes, the fishermen are doing job of travel guides, offering short trips. In many cases this is the only source of transport in more remote areas. For a few rials you can access the private beach which you’ll enjoy only for yourself and your company.It’s coll, isn’t it? This man was waiting for the potential tourists offering them his services. 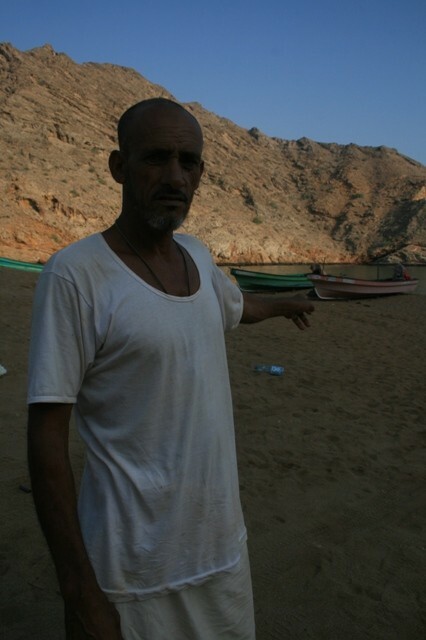 This entry was posted in Oman, Pictures and tagged beach, fisherman, tourism in oman. Bookmark the permalink.